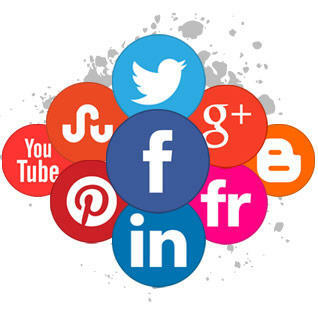 Market your company, connect with your customers, and stay ahead of the curve with our Social MediaMarketing Packages made bespoke to you based on your company’s aims. From strategy to paid advertising our team have a Social Media Marketing solution for you. The future of marketing has arrived and social media marketing is set to separate the old school businesses from the new-age savvy. At Online Influx we want to help you make the move and carve your share of success from the giant pie that is social media. The world is changing. Social media is swiftly replacing “traditional media” and just as the introduction of TV saw the rapid decline in radio listenership, “new media” including social platforms and streaming services are leaving TV in their wake. But this isn’t bad news, in fact for those aware to this major shift in communication there is endless opportunity, a great white space waiting to be filled. Just as the TV and radio ads of yester-year saw the rise of some of the largest businesses in the world, today businesses that know how to effectively reach their audience and communicate their message through social media channels are the ones out performing their competitors and are poised to be the business giants of tomorrow. At Online Influx we understand this better than anyone and our team of social media experts have their finger on the pulse of modern digital communication. We understand the nuances of organic and paid marketing across all (including up and coming) social media platforms and use our in depth knowledge to improve brand sentiment, awareness and sales through bespoke campaigns tailored to the precise needs of our clients. The way companies and consumers engage has been drastically changed since the dawn of social media. In order to prevail in a social media driven world companies need to go beyond being just a business, they need to become a brand. A brand is far more than what they do. They have an essence, beliefs, and purpose and successful brands know how to communicate all of these values to potential customers. At Online Influx we are experts in adopting a brand’s voice and using it to effectively communicating their message to relevant audiences through social platforms. Before you can communicate your values to anyone you need their attention but in the busy social media world where we are bombarded with content our attention spans are finite and breaking through the noise can be tough. Our team of Social Media experts know exactly what it takes to cut through the noise and grasp and hold the attention of even the most niche of audiences in order to communicate your brand’s message in ways that resonates producing not only customers but lifelong fans and advocates of your company, products or services.